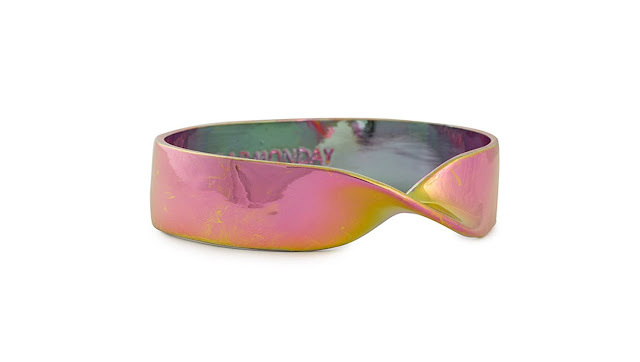 How amazing is this bracelet? Just wow! I love that it looks like it's broken or unfinished. I also like the color of the different metallic shades. They also have a ring from the same collection here. Wish you all a great rest of the Sunday and to a great start of the week! I've always liked sneakers and in fact I'm wearing them most of the time. 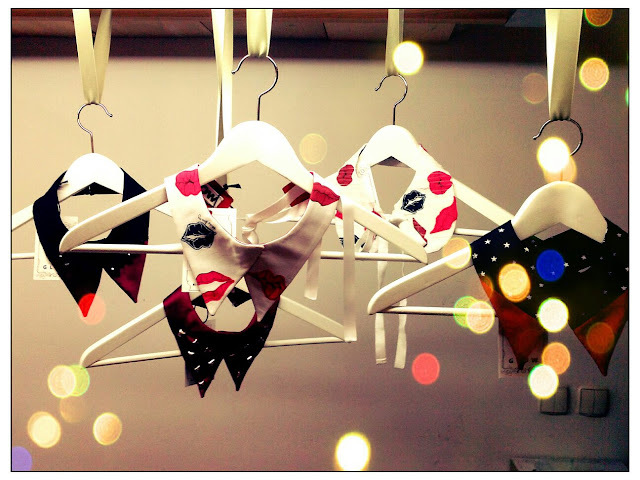 Mostly I prefer that they are simple black or white so that they can go with any piece in my closet. I decided it's time to get some cool ankle sneakers that gives a little edge. I think these (pictured above) are the pretties I've seen. No I'm lying because I would love to have these from Chanel. But these from Pull&Bear might be just fine. They are blue/turquoise and studded what else do you want? Wish you all a great Sunday! Thank you all who entered! 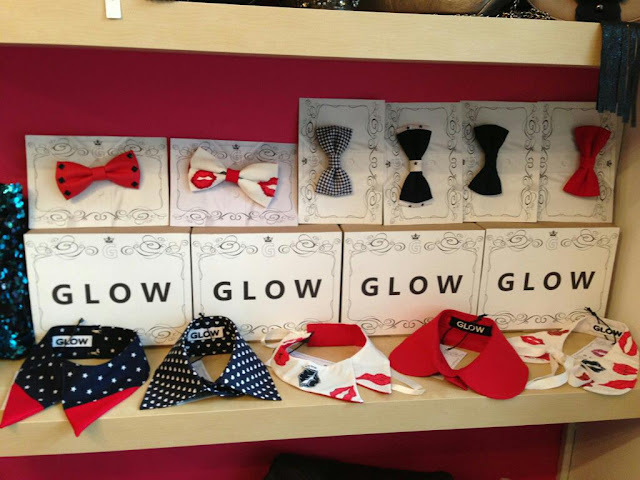 Next week on Tuesday 12th will be a presentation of a new Valentine's collection of unique hand made bows and collar's by a brand Glow. This fabulous event will happen at a store Cute where you can also buy items from their collection. "Več o tem eventu na tej povezavi." Bellow you can watch their presentation video for fall/winter collection. You can win one of their unique hand made collar's on my giveaway HERE. Hurry up because you only have time until today at midnight (CET) . I visited Zara a lot during sales this year and I went back again this weekend and I'm glad I did. 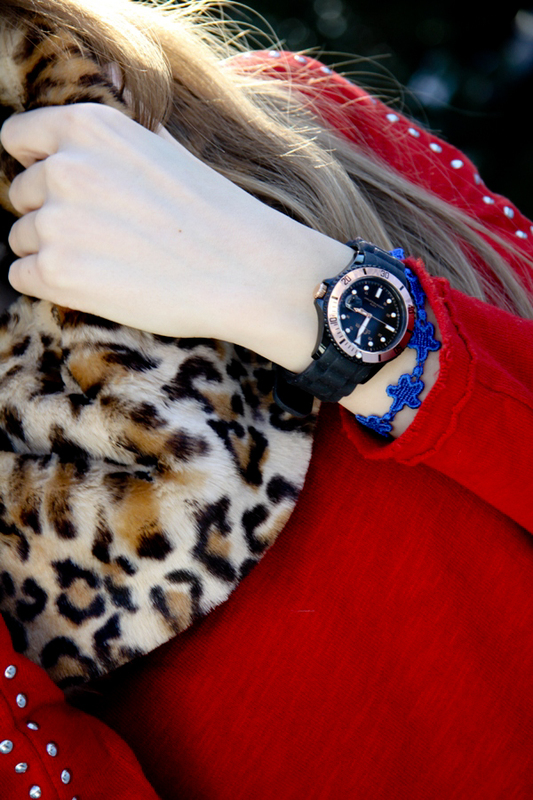 I found this pretty sweater with studs all over the sleeves and this tube scarf. Let me say that I don't like red. It doesn't happen' often that I find a piece that I like in red. In this case this was love at first sight. 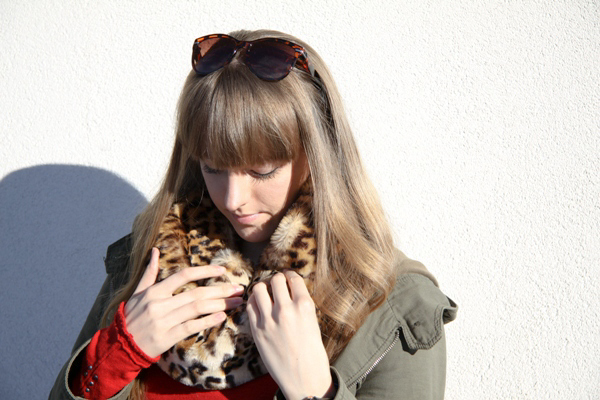 I needed something in bright color to keep me away from all black that I've been wearing this winter. 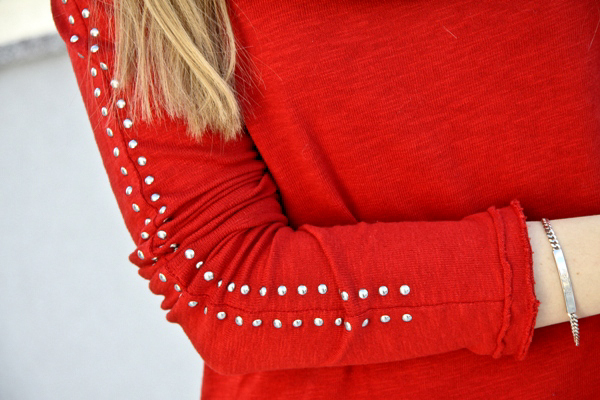 I love the little studs over the sleeves!! And it was a real bargain since I got it for 7.99€. The other thing I got was this tube scarf which at first I wasn't sure of buying it. Because I don't like fur or anything that looks like it. But when I put it on... well who can resist it's softness!! It was the only one left and for only 9.99€ well I brought it home with me. And I'm happy I did becuase it's so waaaarm! ps. Don't forget to check out my giveaway, you still have time to enter until Friday 8th. I think pink is definitely coming back. I always liked pink, maybe a little too much when I was younger, but through years that love for pink kind of faded. With spring coming up I can't help but to think of all the bright colors for clothes, pink is definitely one of them. Especially if it's bright or even neon. 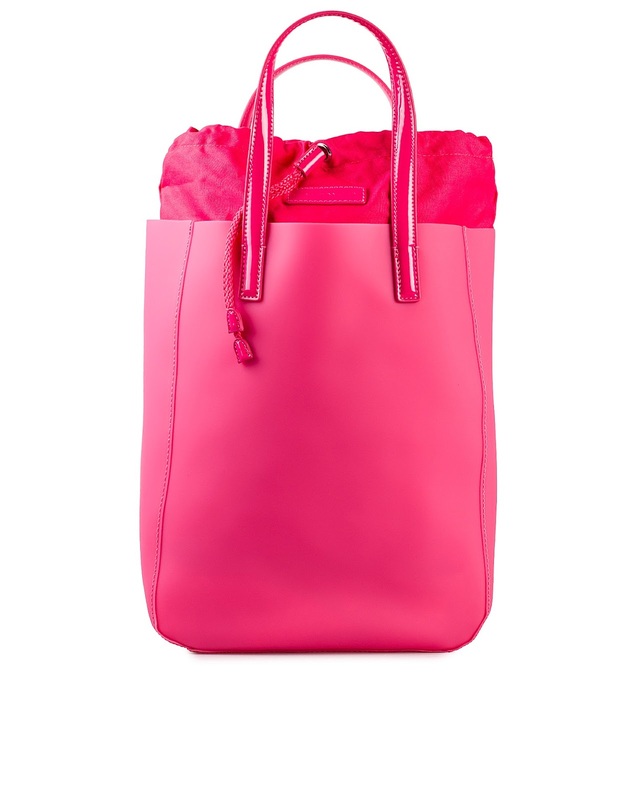 I think I will add a piece or two in my closet in pink this spring. I can start with this gorgeous bag. What I like the most in this bag is that it's made of plastic. Yeah you heard me right. I like that it's different and it makes that edge and because of the color it's definitely a statement piece. What do you think of it? Let me know in the comments bellow I would love to hear your opinion on this. ps. I would like to thank all of you for your lovely comments and birthday wishes! It really means a lot!! 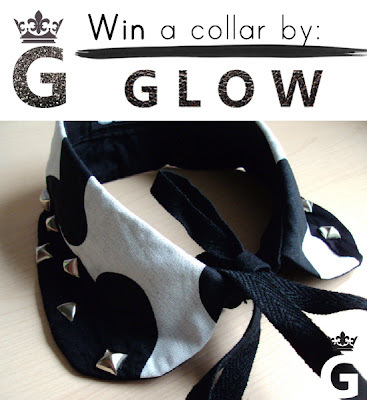 And because I really wanted to celebrate this year with you I prepared a giveaway for you where one of you will get a black and white peter pan collar with studs by a brand Glow. Click here for more details on how to enter.